Help the Boys & Girls Club "Go-Gondos Pre-Game Meal"! - Yo! Venice! Home Venice Beach Events Kids Events Help the Boys & Girls Club “Go-Gondos Pre-Game Meal”! Help the Boys & Girls Club “Go-Gondos Pre-Game Meal”! 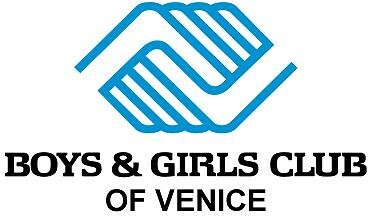 The annual Boys & Girls Club of Venice “Go-Gondos Pre-Game Meal” will be held on Friday, November 2nd at 3pm. The meal will be held before The Venice High homecoming game. In addition to feeding the varsity players and coaches, club donors are needed to provide meals for the cheer and drill team members too. The Club has a long-standing partnership with Venice High School. Currently, the Club runs several of the school’s after-school programs, including tutoring, drill team, cheerleading, and CAHSEE Prep, among others. The Club provides free membership to all Venice High School students, and has provided tens of thousands of dollars in college scholarships to Venice High School graduates. salad, desserts, water and sports drinks. Please contact Armando Diaz at [email protected] to confirm your donation. For monetary donations, please make your donation on-line at www.bgcv.org/donate2 (note: Go Gondos in the donation line). Thank you for supporting our efforts to make Venice a community that supports our youth.